Live Ops is a call center based in Santa Clara, CA, that provides call center outsourcing to clients using only US home-based agents. The company has hired more than 10,000 virtual call center agents that are mostly independent contractors. 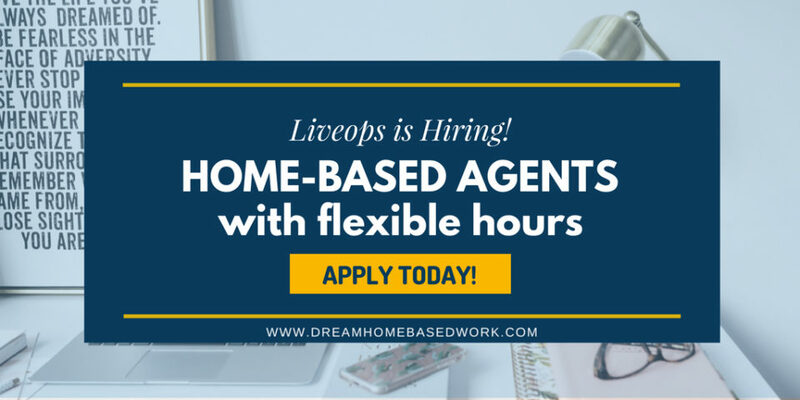 Live Ops is a flexible phone job that allows you to choose your schedule as long as you work for a minimum of 10 hours per week. Here is what I discovered about LiveOps . What is Required to Work for LiveOps? Additional technical requirements are specified on their site here. How to Apply to LiveOps? If you are interested in applying to LiveOps, go here to start the application process. You must complete the login process by creating a password using a valid email address. For more information, check out the Live Ops official website. You can also check out their FAQ page. Good Luck to all those who send in their applications! Hey so I’m a student in college right now, i do uber part time and was really looking for something home based , id be open to work full time if possible . i don’t have any expierence in customer service jobs but i have been manager in the past. any suggestions ? if we can speak i would love to work with you and have you help me find a job ! It looks like there’s a fee just to be able to work for these companies! Hi Shannon! Yes since you are hired as an independent contractor instead of an employee, you are are required to pay for your background screening which is around $70. If you need me to explain more about the company, please let me know. Thanks!